(1950 'Parkway') Extended versions, no fade outs. Legendary 1950 Parkway recordings. Chicago's new generation of bluesmen centered around Muddy Waters' band, and the hair-raising two-part Rollin' And Tumblin' showcased the core of Muddy's first band. Much to the ire of Leonard Chess, it wasn't done for his label (for unknown reasons, Chess was reticent to record Muddy's working band), but as the first release on Monroe Passis' short-lived upstart Parkway Records. Moonlighting Muddy wasn't mentioned on the label, but his blazing slide work was so unmistakable that Chess demanded he go back into the studio and recut the ancient Delta theme (Hambone Willie Newbern had cut it for OKeh in 1929) to kill the Parkway platter. 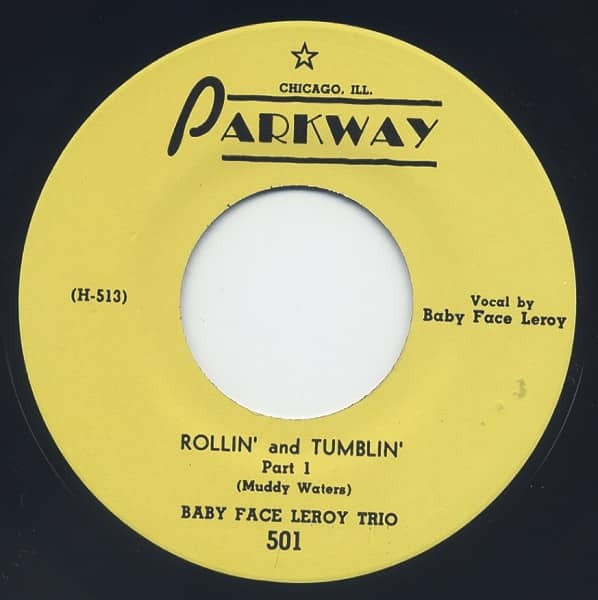 Vocals on the January 1950 date were largely split between Little Walter, yet to ascend as the Windy City's harp king (he would have a Parkway release from the session), and drummer Baby Face Leroy (Muddy joins in on the wordless moans that dominate part two). Leroy Foster was born in Algoma, Mississippi, on February 12, 1923 and arrived in Chicago in 1945. He made his debut on wax as a vocalist in late '48 in partnership with Muddy Waters on Aristocrat with Shady Grove Blues b/w Locked Out Boogie, and he encored for Joe Brown's J.O.B. logo the following year with My Head Can't Rest Anymore b/w Take A Little Walk With Me, this time without Waters (Leroy played guitar on both singles). Foster also did the vocals on a lascivious Red Headed Woman and its flip Boll Weevil Blues, cut in May of '49 for Irv Taman's Tempo-Tone logo and slated for issue under pianist Sunnyland Slim's name, though whether it was ever actually pressed remains open to debate. The Parkway summit meeting produced remakes of Foster's two Tempo-Tone titles, the recuts serving as his Parkway encore. "I knew Walter before I started recording," recalled Muddy. "Me and Baby Face Leroy started to playing. He played guitar. We said, 'Hey, we need another piece, and we went and found Walter and got him to come with us." From all accounts a fast-living, alcohol-loving dude, Foster only made one more 78 under his own name for J.O.B. in 1951, Pet Rabbit (flipped with Louella), though he also did sessions behind Memphis Minnie, J.B. Lenoir, Snooky Pryor, and Sunnyland. One of the two titles from his last then-unissued J.O.B. 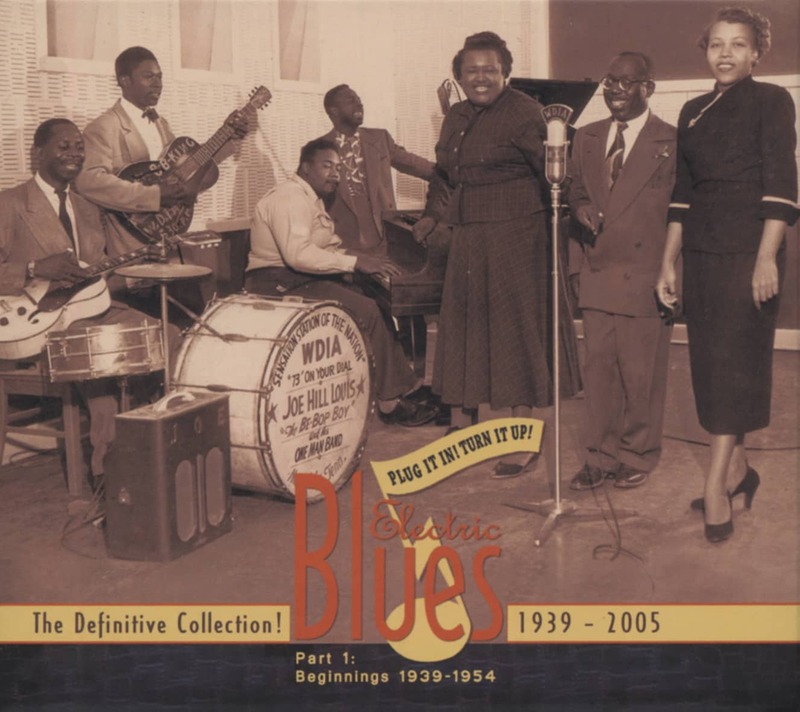 date in '52, Blues Is Killin' Me, probably said it all. Leroy Foster died May 26, 1958 in Chicago, all of 35 years old. Customer evaluation for "Rollin' & Tumblin' Pt.1 & 2"